Looking for a new Jeep vehicle around Ellensburg or Ephrata? 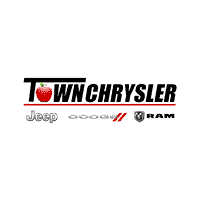 Look no further than Town Chrysler Jeep Dodge Ram! Here, we have 71 new Jeep vehicles for sale – from the four-wheel drive equipped Wrangler, to the family-friendly Cherokee. Sure, we have a massive inventory and wide selection from which to choose, but we also offer a friendly dealership experience. At our Wenatchee dealership, we’ll treat you like family; this means that we’ll work tirelessly to ensure that you get a good price on your next Jeep vehicle. So, explore our offers and incentives or our new vehicle specials. Once you’ve decided on the Wrangler JK or Grand Cherokee of your dreams, contact us today! Moses Lake and Quincy drivers aren’t the only ones praising Jeep’s off-roading autos. Critics are, too! Edmunds, a leading car reviewing resource, praises the 2018 Jeep Wrangler’s off-roading capabilities. And US News lauds the Grand Cherokee, praising its engine options and its luxurious interior. Explore what the critics are saying by leasing or financing your next new Jeep Wrangler or Rubicon at Town Chrysler Jeep Dodge Ram. Still looking? Compare the Jeep Grand Cherokee vs. Dodge Durango or the Jeep Cherokee vs. Jeep Grand Cherokee to see which one has what you need. Apply for financing online here to get ahead of the curve.